There are many types of roofs and each roof shape has several varieties as well. 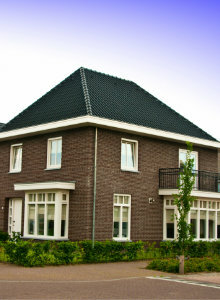 In the survey below, you can find a list of the most common roof types, together with their properties and advantages. 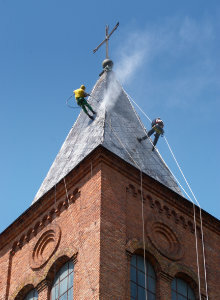 Are you looking for a recognised craftsman who can install a new roof or renovate the roof? Request noncommittal quotes for free. Gable roofs are still one of the most popular roof types, as they fit with many different building styles. In its most basic appearance, a gable roof is a combination of two roof planes which form the shape of an inverted V.
The roof planes have an inclination angle of at least 15 degrees. As compared to a lean-to roof (see further), this roof type requires two gutters instead of one. 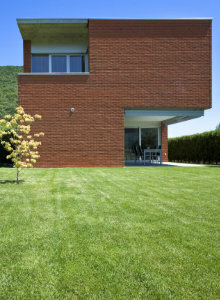 Advantages: quite windproof – good drainage of rainwater. A hip roof is an adjusted gable roof. 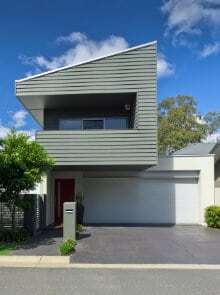 It has two trapezoidal roof planes on the long side and two triangular roof planes on the short side. One often sees this roof shape on top of older buildings and farms. Because of its aerodynamic shape, a hip roof is well-protected against wind gusts. The roof gutter is placed on every side of the roof. It is rather difficult to construct and build a hip roof. Advantages: resistant to gusts of wind – traditional look. A flat roof consists of one horizontal roof plane. Mostly, the angle of inclination is very low and ensures a smooth drainage of water. In case of slopes of 15 degrees or more, we speak of a ‘pent roof’ or ‘lean-to roof’. Flat roofs are frequently found on modern urban houses. One often covers them with a rubber roofing (EPDM). Advantages: simple construction – not sensitive to wind. A mansard roof – which is also called a curb roof or French roof – is a gable roof with bent roof planes. This roof shape was named after the French architect François Mansart. As the bottom planes are steeper than the upper planes, the space underneath the roof is bigger than with a gable roof. There are different varieties of this roof shape. 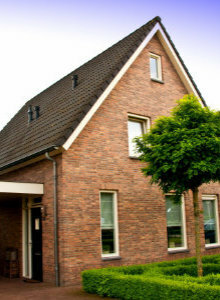 Advantages: quite a lot of space underneath the roof – classical look. A lean-to roof is one of the most simple roof constructions. It is made of one simple roof plane that is applied under an angle of at least 15 degrees. The type of roofing (tiles, slates, corrugated roofing,…) depends on the angle of inclination of this mono-pitched roof. So, one side of the roof construction is quite high, whereas the other side is rather low. 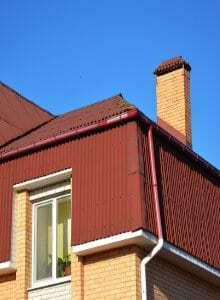 This roof type often appears on garden houses or green houses as well. Advantages: quite a lot of space underneath the roof – only one side requires a roof gutter – windows can be installed on the other side. Skillion roofs actually consist of two lean-to roofs. These kind of roofs are – as opposed to a traditional gable roof – not positioned symmetrically. The roof planes have a different height. As a result, a vertical opening appears which can function as a light opening. Advantages: modern appearance – the vertical opening can be used as extra light facility at one side. A tented roof, also called pavilion roof or pyramid hip roof, consists of at least four triangular roof planes that come together in the roof ridge. The size of the roof planes may differ, as a result of which several roof shapes are possible. Due to the steep roof planes, the space underneath a tented roof is quite small. Do you want a new roof or have your roof renovated by a craftsman? Via our quotation page, you can receive noncommittal price quotes from professional roofers in your region. This way, you can easily compare prices and choose the best offer. Click here for more information.